Honestly, the title says it all. 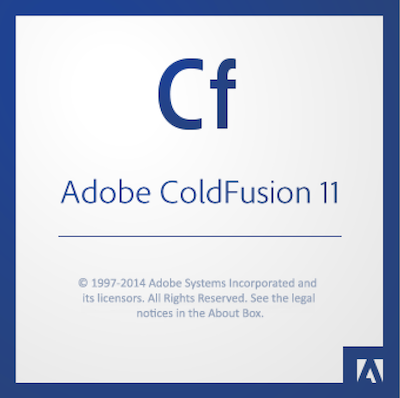 ;) Today we released the latest versions of ColdFusion and ColdFusion Builder. You can see more at the product home page including a video with some scary hairy guy in it. (Hint: Me.) I don't know if we have a specific doc about what changed from the public beta to release, but things did change. One big example is the addition of application specific DSNs, something people have been asking for since dinosaurs ruled the world. I also recommend reviewing the language enhancements doc as well, as it neatly summarizes the various language level updates in ColdFusion 11. And as I've said a few times now - if you stopped using ColdFusion Builder in the past - you should really give it another look. I think I've said this before, but it has replaced Sublime as my ColdFusion editor. I still use Brackets as my primary editor, and I like using Sublime for quick ad hoc edits, but CFB is now one of my favorite tools.